Brighton chief scout Zigor Aranalde has left the Championship club to become assistant head coach at Spanish second division side Albacete. The Spaniard will be reunited with former Sevilla and Albacete team-mate Antonio Gomez, who is head coach. The former Walsall, Carlisle and Sheffield Wednesday defender told Brighton's website: "It was such a good chance that I could not turn it down." 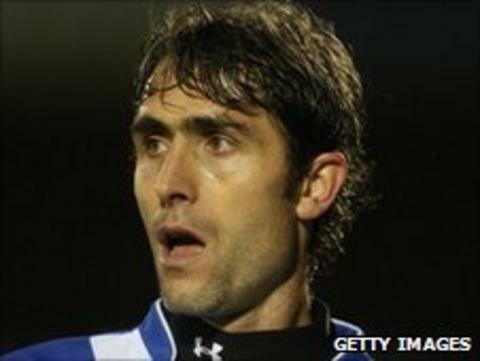 Aranalde, 38, was appointed Seagulls chief scout in April 2010. "This has been my first year back in football after retiring from playing and I would like to thank, above all, [manager] Gus Poyet for making it special. It has been a wonderful year," Aranalde added. "He has played such a big part. He brought me here and put confidence in me. He is a very demanding man but he is honest and straightforward and he will tell you if you have done a job well."